See here for related endpoints and documentation. Users are granted access to System or Bank Roles via Entitlements. Entitlements and Entitlement Requests can be managed in the OBP API Manager. Users are granted access to Customer Accounts, Transactions and Payments via Views. User Views can be managed via the OBP Sofit Consent App. A string generated by OBP-API that MUST uniquely identify the API call received by OBP-API. Used for debugging and logging purposes. It is returned in header to the caller. The thing that tokens of value (money) come in and out of. An account has one or more owners which are Users. In the future, Customers may also be owners. An account has a balance in a specified currency and zero or more transactions which are records of successful movements of money. An identifier for the account that MUST NOT leak the account number or other identifier nomrally used by the customer or bank staff. It SHOULD be a UUID. It MUST be unique in combination with the BANK_ID. ACCOUNT_ID is used in many URLS so it should be considered public. In local / sandbox mode, ACCOUNT_ID is generated as a UUID and stored in the database. In non sandbox modes (Kafka etc. 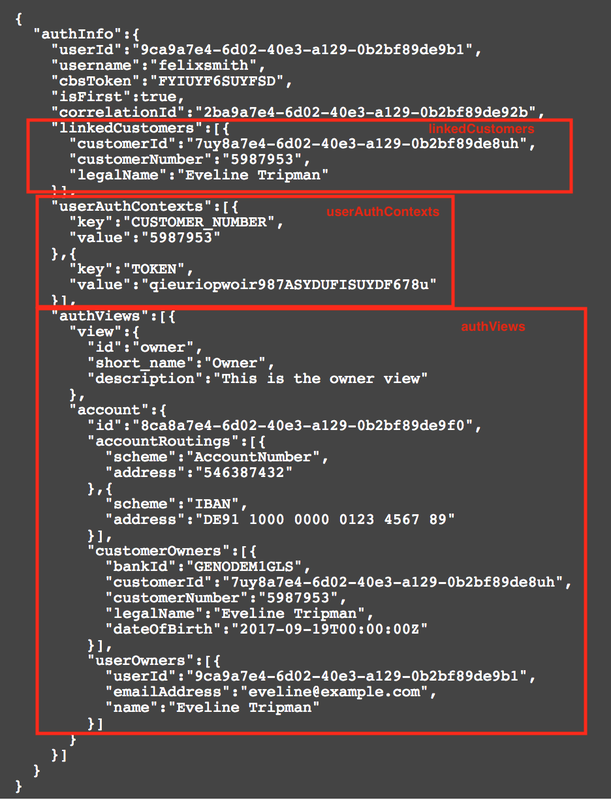 ), ACCOUNT_ID is mapped to core banking account numbers / identifiers at the South Side Adapter level. ACCOUNT_ID is used to link Metadata and Views so it must be persistant and known to the North Side (OBP-API). The scheme that the account_routing_address / accountRoutingAddress is an example of. A username that is the owner of the account. 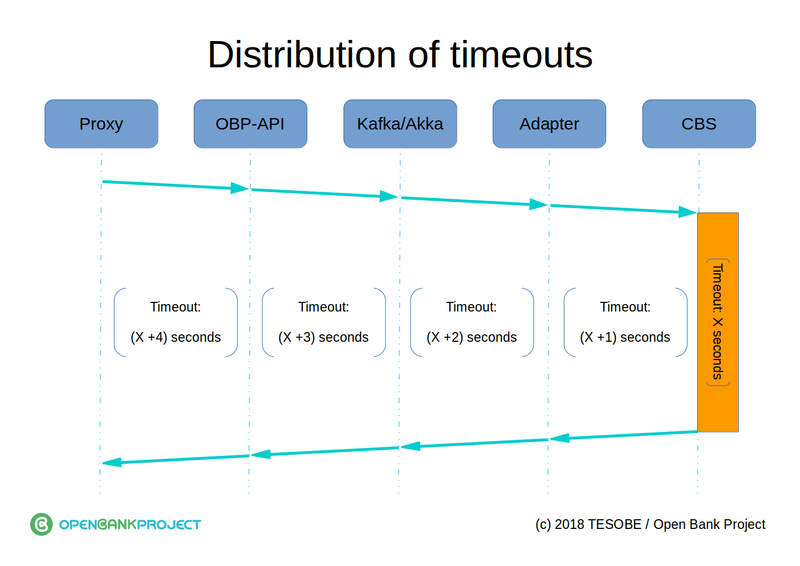 Use Akka as an interface between OBP and your Core Banking System (CBS). respond to requests for data and services from OBP. This glossary item is Work In Progress. Use Kafka as an interface between OBP and your Core Banking System (CBS). You have OBP-API running and it is connected to a Kafka installation. You can check OBP -> Kafka connectivity using the "loopback" endpoint. Ideally you have API Explorer running (the application serving this page) but its not necessary - you could use any other REST client. You might want to also run API Manager as it makes it easier to grant yourself roles, but its not necessary - you could use the API Explorer / any REST client instead. Register a User who will use the API as a Customer. Register another User that will use the API as an Admin. The Admin user will need some Roles. See here. You can bootstrap an Admin user by editing the Props file. See the README for that. As the Admin User, use the Create Auth Context endpoint to add one or more attributes to the Customer User. For instance you could add the name/value pair CUSTOMER_NUMBER/889763 and this will be sent to the Adapter / CBS inside the AuthInfo object. Now you should be able to use the Get Auth Contexts endpoint to see the data you added. Write or Build an Adapter to respond to the following messages. Now you should be able to use the Get Customers endpoint. This also requires 8,9,10 for high value payments. identify the User making the call. The authInfo object contains several optional objects and fields. linkedCustomers is a list of Customers the User is explicitly linked to. Use the Create User Customer Link endpoint to populate this data. or provide an alternative method of tagging the User with an authorisation context. Use the Create UserAuthContext endpoint to populate this data. cbsToken is a token used by the CBS to identify the user's session. Either generated by the CBS or Gateway. correlationId just identifies the API call. The Counterparty ID used in URLs. This SHOULD NOT be a name of a Counterparty. Example value: John Smith Ltd.
A non human friendly string that identifies the customer and is used in URLs. This SHOULD NOT be the customer number. The combination of customerId and bankId MUST be unique on an OBP instance. customerId SHOULD be unique on an OBP instance. Ideally customerId is a UUID. A mapping between customer number and customer id is kept in OBP. The human friendly customer identifier that MUST uniquely identify the Customer at the Bank ID. Customer Number is NOT used in URLs. MUST uniquely identify the bank account globally. The legal name of the Customer. The Transaction ID used in URLs. Used to store Metadata for the Transaction. A string that MUST uniquely identify the user on this OBP instance. The username the user uses to authenticate. The entity that represents the financial institution or bank within a financial group. Open Bank Project is a multi-bank API. Each bank resource contains basic identifying information such as name, logo and website. An identifier that uniquely identifies the bank or financial institution on the OBP-API instance. It is typically a human (developer) friendly string for ease of identification. It SHOULD NOT contain spaces. In sandbox mode it typically has the form: "financialinstitutuion.sequencennumber.region.language". e.g. "bnpp-irb.01.it.it"
For production, it's value could be the BIC of the institution. The scheme that the bank_routing_address / bankRoutingAddress is an example of. Uniquely identifies the Branch in combination with the bankId. The scheme that the branch_routing_address / branchRoutingAddress is an example of. A selection of links to get you started using the Open Bank Project API platform, applications and tools. Consent, or Account onboarding, is the process by which the account owner gives permission for their account(s) to be accessible to the API endpoints. Note: the account holders endpoint is generally made available only to the Account Onboarding App, so if a View does not exist, no API access to the account is possible. 1) A backend system (CBS or other) is the system of record for User Consent, and OBP mirrors this. a) OBP requires the CBS or other backend system to return a list of accounts and permissions associated with a User. b) At User login, OBP automatically creates one or more Views for that User based on the permissions supplied by the CBS. 2) OBP is the system of record for User Consent. a) OBP requires the CBS, Gateway or other system to provide just a basic list of accounts owned by the User. b) The Onboarding App or Bank's Onboarding Page then authenticates the User and calls the Create View endpoint. c) The account, transaction and payment API endpoints then work as moderated by the relevant View permissions. d) The User can revoke access by calling the delete View endpoint. to identify the account so it can be selected and on-boarded into the API. Once a View exists for an Account, a User can interact with the Account via the API based on permissions defined in the View. The "consumer" of the API, i.e. the web, mobile or serverside "App" that calls on the OBP API on behalf of the end user (or system). Each Consumer has a consumer key and secrect which allows it to enter into secure communication with the API server. The legal entity that has the relationship to the bank. Customers are linked to Users via User Customer Links. Customer attributes include Date of Birth, Customer Number etc. The identifier that MUST NOT leak the customer number or other identifier nomrally used by the customer or bank staff. It SHOULD be a UUID and MUST be unique in combination with BANK_ID. Sign up or login as a developer. Copy and paste the consumer key for step two below. Authorization: DirectLogin username="janeburel",   password="686876",  consumer_key="GET-YOUR-OWN-API-KEY-FROM-THE-OBP"
The password used to authenticate user. Alphanumeric string. Each parameter MUST NOT appear more than once per request. Note: Gateway Login is NOT enabled on this instance! Gateway Login Authorisation is made by including a specific header (see step 3 below) in any OBP REST call. Note: Gateway Login does not require an explicit POST like Direct Login to create the token. The Gateway is responsible for creating a token which is trusted by OBP absolutely! When OBP recieves a token via Gateway Login, OBP creates or gets a user based on the username supplied. 1) Configure OBP API to accept Gateway Login. Please keep in mind that property gateway.token_secret is used to validate JWT token to check it is not changed or corrupted during transport. curl -v -H 'Authorization: GatewayLogin token="eyJhbGciOiJIUzI1NiIsInR5cCI6IkpXVCJ9. The file, GatewayLogin.scala handles the Gateway Login. The CBS_auth_token (either the new one from CBS or existing one from previous token) is returned in the GatewayLogin custom response header. KYC is the process by which the Bank can be assured that the customer is who they say they are. OBP provides a number of endpoints that KYC Apps can interact with in order to get and store relevant data and update the KYC status of a Customer. 2) Use KYC check to record a check of the customer via phone call, in person meeting or PEP database search. B) media that identifies the user e.g. a video ident. 4) Use KYC status to update the KYC status of a customer following a meeting or using one of the above calls. 5) Use other Customer related endpoints shown here to check for known Addresses, contact details, Tax Residences etc. The following steps will explain how to connect an instance of the Open Bank Project OAuth Server 1.0a. This authentication mechanism is necessary so a third party application can consume the Open Bank project API securely. The following documentation is based on the OAuth 1.0a specification so if you need more details you can refer to it. oauth_callback: an absolute URI back to which the server will redirect the resource owner (user) when Authorization step is completed. If the application is unable to receive callbacks the parameter value MUST be set to “oob” (case sensitive), to indicate an out-of-band configuration. oauth_consumer_key : The identifier portion of the client credentials (consumer key) which is obtained after application registration. oauth_nonce : A nonce is a random string, uniquely generated by the client to allow the server to verify that a request has never been made before. The nonce value MUST be unique across all requests with the same timestamp, application credentials, and token combinations. oauth_signature : the result of signing the request. Explained in detail here. oauth_timestamp : The timestamp value MUST be a positive integer and is expressed in the number of seconds since January 1, 1970 00:00:00 GMT. oauth_version : OPTIONAL. If present, MUST be set to "1.0". Provides the version of the authentication process as defined in the OAuth 1.0 protocol specification. important: We will explain below in the "signature" section how to calculate the value of the "oauth_signature" field. Note : line breaks are for display purposes only, the application MUST send the parameters on one line and the only separator between the parameters is a coma “,”. The server validates the request and replies with a set of temporary credentials in the body of the HTTP response. The application should examine the HTTP status of the response. Any value other than 200 indicates a failure. The body of the response will contain the oauth_token, oauth_token_secret, and oauth_callback_confirmed parameters. The application should verify that oauth_callback_confirmed is true and store the other two values for the next steps. The next step is to direct the user to Open Bank Project so that he may complete the authentication. and the request token obtained in step 1 should be passed as the oauth_token parameter. The most seamless way for a website to implement this would be to issue a HTTP 302 redirect as the response to the original request. Mobile and desktop applications should open a new browser window or direct to the URL via an embedded web view. Upon a successful authentication, the callback URL would receive a request containing the oauth_token and oauth_verifier parameters. The application should verify that the token matches the request token received in step 1. If the callback URL was not specified (oob) than the verifier will be shown in the page and the user has to enter it into the application manually. request containing the oauth_verifier value obtained in step 2. The request token is also passed as oauth_token parameter of the header. Note : The oauth_callback_url parameter is not necessary any more. Like the step 1, a successful response contains the oauth_token & oauth_token_secret and they should be stored and used for future authenticated requests to the OBP API. The application can now use the access token to access protected resources. Once the application has an a access token and secret token, it can access protected resources. The request is the same as in step 3 except the oauth_verifer which MUST not be included in the header. Please see the API documentation for more details on how to access protected resources. signpost. Warning any version below 1.2.1.2 probably will not work. Version 1.2 which is the current Maven version seems to cause problems. The signature base string is a consistent, reproducible concatenation of several of the HTTP request elements into a single string. The string is used as an input to the signature methods. 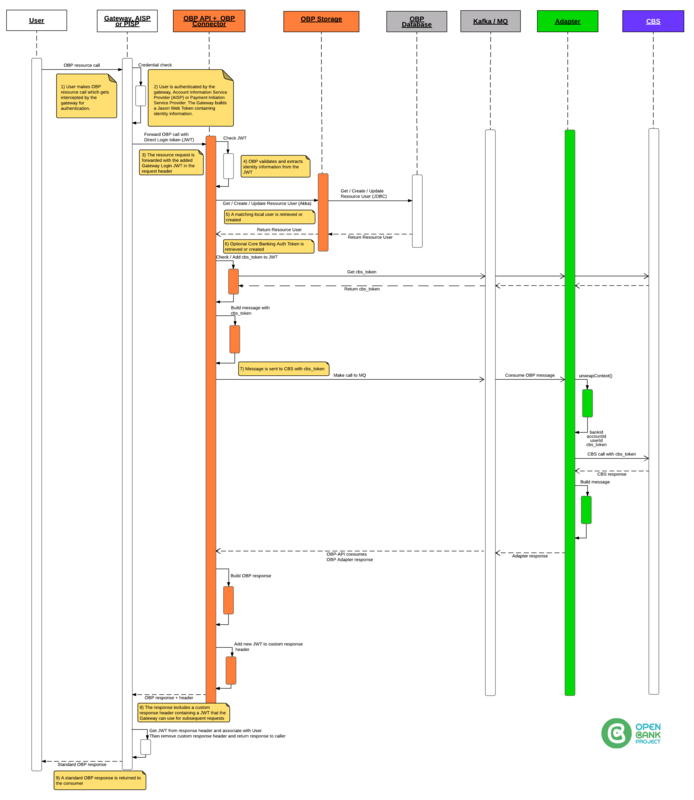 The HTTP request method (e.g., "GET", "POST", etc.). The authority as declared by the HTTP "Host" request header field. 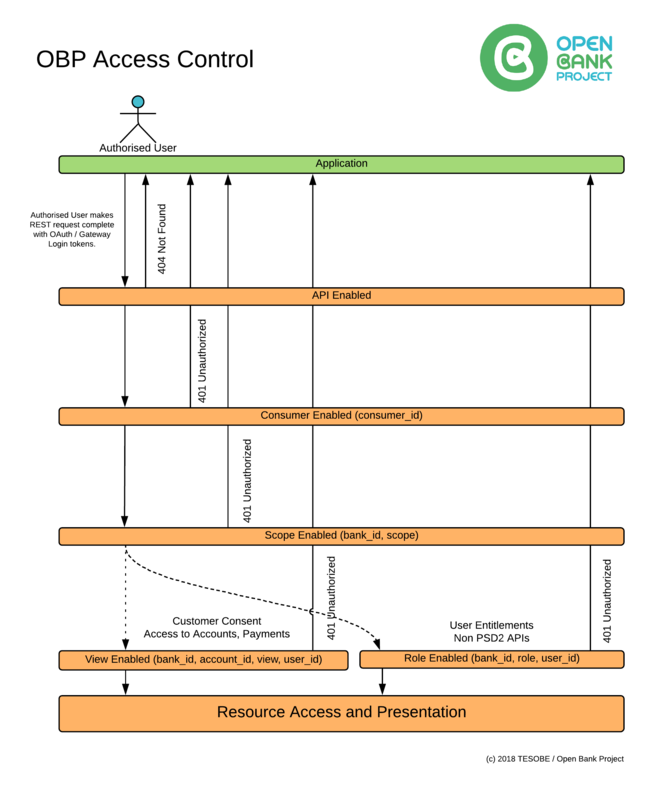 The path and query components of the request resource URI. he protocol parameters excluding the "oauth_signature". The signature base string does not cover the entire HTTP request. Most notably, it does not include the entity-body in most requests, nor does it include most HTTP entity-headers. The HTTP request method in uppercase. For example: "HEAD", "GET", "POST", etc. If the request uses a custom HTTP method, it MUST be encoded (Section 3.6). An "&" character (ASCII code 38). The base string URI from Section 3.4.1.2, after being encoded (Section 3.6). The request parameters as normalized in Section 3.4.1.3.2, after being encoded (Section 3.6). Explained shortly below the example. The name and value of each parameter are encoded Section 3.6. The parameters are sorted by name, using ascending byte value ordering. The name of each parameter is concatenated to its corresponding value using an "=" character (ASCII code 61) as a separator, even if the value is empty. The sorted name/value pairs are concatenated together into a single string by using an "&" character (ASCII code 38) as separator. The Open Bank Project OAuth 1.0 implementation uses the “HMAC-SHA1” and “HMAC-SHA256” as signing methods. The key to sign the base string is the concatenation of the consumer secret and the token secret with the “&” character in the middle like this: oauth_consumer_secret&oauth_token_secret, in the first step the application does not have yet a token so it will be an empty string. The signature that results from the signature process MUST be encoded in base 64 also since the protocol requires encoding all the OAuth parameters. OAuth2 is allowed on this instance. OAuth 2 is an authorization framework that enables applications to obtain limited access to user accounts on an HTTP service, in this case any OBP REST call. It works by delegating user authentication to the service that hosts the user account, and authorizing third-party applications to access the user account. OAuth 2 provides authorization flows for web and desktop applications, and mobile devices. The resource owner is the user who authorizes an application to access their account. The application's access to the user's account is limited to the "scope" of the authorization granted (e.g. openid). The client is the application that wants to access the user's resource. In order to do that, it must be authorized by the user, and the authorization must be validated by the Authorization Server: API. Copy and paste the CONSUMER_KEY, CONSUMER_SECRET and REDIRECT_URL for the subsequent steps below. This assumes that that you are already logged in at the OAuth2 authentication server [OBP-00010: Missing props value at this API instance - oauth2_server_url](OBP-00010: Missing props value at this API instance - oauth2_server_url). Otherwise, you will be redirected to [OBP-00010: Missing props value at this API instance - oauth2_server_url/login](OBP-00010: Missing props value at this API instance - oauth2_server_url/login). Please note that you use the same credentials as the sandbox https://openlab.openbankproject.com to login to the OAuth2 authentication server. Please authorize the application on the OAuth2 server web interface by clicking on "Authorize". If the user clicks "Authorize", the service redirects the user-agent to the application redirect URI, which was specified during the client registration, along with an authorization code. The application requests an access token from the API, by passing the authorization code along with authentication details, including the client secret, to the API token endpoint. GET /obp/v3.0.0/users/current HTTP/1.1 Host: https://openlab.openbankproject.com User-Agent: curl/7.47.0 Accept: / Authorization: Bearer "eyJraWQiOiJyc2ExIiwiYWxnIjoiUlMyNTYifQ.eyJzdWIiOiJhZG1pbiIsImF6cCI6ImNsaWVudCIsImlzcyI6Imh0dHA6XC9cL2xvY2FsaG9zdDo4MDgwXC9vcGVuaWQtY29ubmVjdC1zZXJ2ZXItd2ViYXBwXC8iLCJleHAiOjE1MTk1MDMxODAsImlhdCI6MTUxOTQ5OTU4MCwianRpIjoiMmFmZjNhNGMtZjY5Zi00ZWM1LWE2MzEtYWUzMGYyYzQ4MjZiIn0.NwlK2EJKutaybB4YyEhuwb231ZNkD-BEwhScadcWWn8PFftjVyjqjD5_BwSiWHHa_QaESNPdZugAnF4I2DxtXmpir_x2fB2ch888AzXw6CgTT482I16m1jpL-2iSlQk1D-ZW6fJ2Qemdi3x2V13Xgt9PBvk5CsUukJ8SSqTPbSNNER9Nq2dlS-qQfg61TzhPkuuXDlmCQ3b8QHgUf6UnCfee1jRaohHQoCvJJJubmUI3dY0Df1ynTodTTZm4J1TV6Wp6ZhsPkQVmdBAUsE5kIFqADaE179lldh86-97bVHGU5a4aTYRRKoTPDltt1NvY5XJrjLCgZH8AEW7mOHz9mw"
Google's OAuth 2.0 APIs can be used for both authentication and authorization. This document describes our OAuth 2.0 implementation for authentication, which conforms to the OpenID Connect specification, and is OpenID Certified. Records of successful movements of money from / to an Account. OBP Transactions don't contain any "draft" or "pending" Transactions. (see Transaction Requests). Transactions contain infomration including type, description, from, to, currency, amount and new balance information. A successful Transaction Request results in a Transaction. The Transaction Request Type defines the request body that is required - and the logic / flow of the Transaction Request. Allowed values include SEPA, COUNTERPARTY and SANDBOX_TAN. The entity that accesses the API with a login / authorisation token and has access to zero or more resources on the OBP API. The User is linked to the core banking user / customer at the South Side Adapter layer. Link Users and Customers in a many to many relationship. A User can represent many Customers (e.g. the bank may have several Customer records for the same individual or a dependant). In this way Customers can easily be attached / detached from Users. The name of the authentication service. e.g. the OBP hostname or kafka if users are authenticated over Kafka. The id of the user given by the authentication provider. An identifier that MUST NOT leak the user name or other identifier nomrally used by the customer or bank staff. It SHOULD be a UUID and MUST be unique on the OBP instance.